Weed-Deals.ca also has outstanding and uniquely casual, customer service. After looking at their shop for a while, a customer service rep asked how I was, if I needed any help and if I was new at all to the site. With this, I realized that, just like a tangible walk-in store, communicating to reps is completely optional. So I told them “No, I’m fine. Thank you for asking!” And just like in a walk-in store, we made small talk and they ended up helping me find something more perfect than what I was looking for. Weed-Deals.ca’s indica dominant hybrid, Death Bubba OG, was bountiful; with chalky white trichomes and forest green accents, with hints of purple hues. When I opened the bag it came in, the smell was comparable to a skunk walking across a freshly mowed lawn. A pungent aroma, with bursts of the funky skunk; tied with the sweet smell of grass and earth. Death Bubba OG is the love child of Deathstar and Bubba Kush; which are two heavily sedative indicas themselves. An indica like Death Bubba is notably potent, even to someone who is a well-seasoned smoker, just as I am. Even Weed-Deals.ca says that Death Bubba OG is one of their top indica strains and with good reason. When Death Bubba OG was combusted, there was a moment where the world around me fell into tranquility with a burst of sudden relaxation. The cloud it had created was immense and thick with its heady fragrance. The smell from the bag was a hair more citrus than the flavour of its smoke, but smoking it from the bong, Death Bubba OG was clean and sweet, yet still very skunky. When vaped with the Arizer V-Tower, the funky flavour becomes much tamer, taking it down a notch to a more appreciative level. The grassiness was more prominent with its sweeter, lemony components, making Death Bubba an airier blend of its original taste. Death Bubba OG came on with a comforting high, which was a pleasant surprise because the name steered me otherwise. This is something I look for in my indica strains particularly. After two hits, I felt so uplifted and motivated to do anything, and then fell into a puddle of relaxation. The high came strong and was long-lasting, leaving me to lie in my bed with the world spinning me to sleep. This strain can also help to treat a variety of symptoms and conditions, such as (but not limited to): insomnia, migraines, MS, nightmares, fibromyalgia, pain and chronic pain at times, glaucoma, nausea, opiate addiction and recovery, acute injury pain, Parkinson’s disease, loss of appetite (most times), depression, stress, anxiety, and/or other mood disorders (as directed). Rockstar Fire OG is like if someone took the Death Bubba above and then dosed it in gasoline and fruit juice. Additionally, I have only seen it available on Weed-Deals.ca’s website, everywhere else simply has its parent strains, (Rockstar and Fire OG, respectfully). The marriage of the two strains created an ideal indica hybrid that doesn’t completely drop me to the floor. By the ounce, Rockstar Fire buds look like a bag full of candy, with picturesquely dense and trimmed medium-sized buds. Like a bag of candy, my hands got very sticky from inspecting all of the beauty lurking within. The colours were a mixture of dark forest green and light jade green with polka dots of the long ginger pistils. The visage of this beautiful strain parallels its aroma of tannic oakes and dried grapes. When combusted, I was instantly reminded of how lovely gasoline smells and could then, potentially taste. After exhaling, the image of a gas station burning down was brought to my living room, with smoke filling the house aromatically; stimulating my senses, leaving the skunky gas smell, lingering. The plume sat there until I opened a window, releasing the skunk to the outside world. If there are people in your life that disapprove of the smell, vaping is definitely the way to go for this powerfully, aromatic strain. When vaped with the Arizer V-Tower, the taste and flavour of the chemically skunk died down, to something exceptionally gentle and earthy. The Rockstar Fire OG strain had subtle hints of grape and lemon citrus. By using the tower, I was able to focus on that delicate flavour. There are many strains that I would choose to smoke before work and many that I would choose to smoke after; but of course, bedtime is a different story. This strain, Rockstar Fire OG, is a for-sure, after work kush because of its exceptional stress-relieving abilities. I would not smoke this pre-work because one cannot be too carefree with their responsibilities and this rockstar kush would limit my abilities to properly function. This strain is very strong, use caution if you are novice and go low and slow, for consumption of any new products. This strain can also be used to help treat a number of symptoms and conditions, including (but not limited to): migraines, MS, sore muscles, headaches, pain, stomach pain, inflammatory diseases, nausea, opiate addiction and recovery, insomnia, sciatica, fibromyalgia, PTSD, osteoporosis, depression, stress, anxiety bipolar disorder, and/or other mood disorders (as directed). Not too many strains get their name from their appearance; however, a few have exceptions and Snow White is one of them. These buds are covered in coats of snowy, creamy white crystals; just as the name would suggest. Behind this caked layer of trichomes, hides the smaller and darker, emerald green buds, with a massively potent, smell and high. The only parent strain attributed to Snow White is its established mother, White Widow; which is where Snow White gets all of its resiny qualities and its fruity earth fragrance. The buds came fairly small, which for me just meant less worrying about plucking the buds off of a stem or finding a stem stabbing through joint rice paper. When combusted, Snow White hit as if I topped the bong with kief, which was expected; but, not to that extent. I had waited a few minutes before hitting it again and a good thing too; Snow White was a bud that wanted to be soaked in slowly. The smoke itself is incredibly smooth for a stronger strain, tasting of sweet pine. With how strong Snow White is, I would not smoke it while drinking, it already creates a near tipsy effect, due to its high THC count. When vaped with the Arizer V-Tower, the Snow White high softened, to more of White Widow’s floral flavour. The vapour was very thick with this rich and full-bodied taste; but, without the nose-burning and nasal-clearing sensation, that most floral or woody strains love to leave you with. Here’s something to note: there are two types of grinders: a grind and tap, or a grinder that also collects kief at the bottom; a two-parter versus a three-parter. When just grinding and tapping Snow White, that is when she is at her most potent. But out of my SharpStone, that accumulates nearly all kief, Snow White was a perfect all-day-every-day strain, with a perfectly delicate, sativa and indica balance. This strain can help to treat a variety of symptoms and conditions, such as (but not limited to): fatigue, appetite loss (most times), chronic pain (most times), fibromyalgia, glaucoma, nausea, inflammatory conditions like most types of arthritis, ADHD, opiate addiction and recovery, Multiple Sclerosis, PTSD, depression, chronic stress, anxiety and/or other mood disorders (as directed). Often times I buy wraps that are flavoured like lemons; however, the strains that taste of citrus naturally are my favourite. So naturally, Weed-Deals.ca’s Super Lemon Haze has become one of my new all-time favourites. The buds appearance was breathtaking, with eye-openingly large, multi-coloured buds, that were encrusted with crystallized and delicate, creamy white trichomes. This is surprising when considering its acclaimed and award-winning lineage: Super Lemon Haze and Lemon Skunk. The marriage, and subsequent offspring between the two, created a pure green crack, but that simple of a name would not give justice to its lemony distinction. Strains with flavours I admire so much, like Super Lemon Haze, is why I prefer to keep all of my bongs clean with fresh water and no resin build up: to properly savour all of the flavours. When Super Lemon Haze is combusted, its astonishing fragrance transfers nearly entirely to its taste: as a refreshing and uplifting glass of iced lemonade. Super Lemon Haze’s complete essence was that of lemon and being so, it is naturally sweet and citrusy. When vaped with the Arizer V-Tower, the clouds were opaque and fragrant, as if I had lit a lemony dream candle. However, the sweetness of the strain dulled during the vaporization process, making it a more refined citrus flavour; rather than, something like a sweet, lemonhead candy. The effects of sativas and sativa dominant hybrids like Super Lemon Haze is like an outstanding burst of energy tied with the euphoric and happy sentiments. 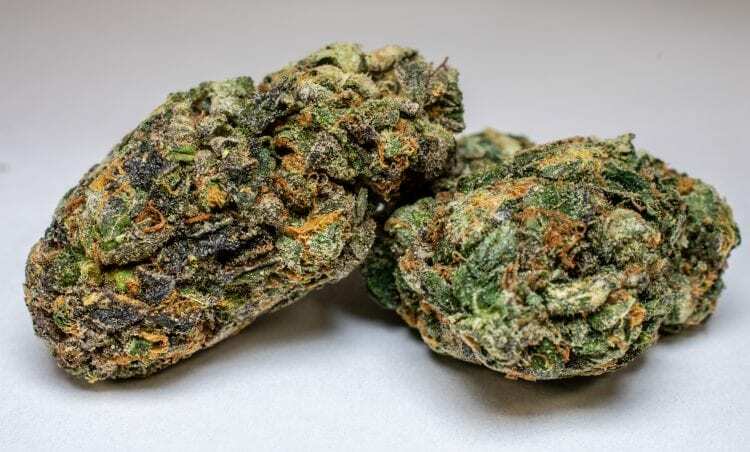 This strain is one I can compare to an espresso shot, with spates of very talkative moments and excited feelings and other moments of smiles and pleasantry. When I am wound up tight, emotionally and/or physically, from a long day, this strain is ideal; but, it is also ideal for a pre-work preventative, or even a pre-workout relaxer; to all of those rotten feelings that can come when starting your day. This strain can also help to treat a variety of symptoms and conditions, such as (but not limited to): fatigue, nausea, glaucoma, fibromyalgia, headaches, pain and chronic pain at times, sexual arousal disorders, Parkinson’s disease,loss of appetite (most times), opiate addiction recovery, depression, high stress, mild anxiety, and/or other mood disorders (as directed). The Purple Punch flavoured Distillate Sauce with Premium Rosin came darker in colour than the other flavours I have gotten. The consistency was a bit runny so I told myself to be conscious of how hard I was inhaling it, bracing myself for a possibility of a mouth full of distillate sauce. Luckily, the runny consistency did not impair the process of smoking the sauce; near to none of the sauce ran up into the mouth of the vape pen and into my own. If anything, the amount that did was much less than how black a resiny joint can make one’s lips. The flavour of the Purple Punch was precisely accurate to how I envisioned it before ordering it: as a fruit punch, Swisher blunt; minus the brown tobacco taste and with more a candy grape spice. Flavoured blunt wraps are fun but; honestly, they are for show and really more work than I prefer. 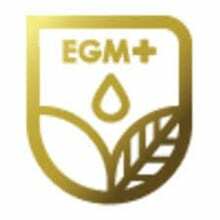 Having enriched distillates whose flavour is 100% natural is easier, cost-effective, less cancerous (more ‘not really at all’ cancerous than simply ‘less’), and overall an improved option for having an enhanced flavour. Moreover, there are a large number of disposable vape pens in Canada; however, this cartridge aids in not having to throw away the entire smoking mechanism. Reduce, reuse and recycle in this toss-away consumer-driven market. The absolute best part of this THC distillate is that I can take the syringe and refill my old Flyte pen and I absolutely love the way the rosin tastes and smokes. Of course, Weed-Deals.ca does have a pre-filled pen option; for exactly the same price as the non pre-filled syringe. The high that came along with the Purple Punch was nearly a punch to the face, almost as a dab rig would do. It was a tad strong for a lunch break high, truly it just needs to be hit once or twice and the brain-buzz lasts a long time; perfect for a boring day that requires less focus. These concentrates can also be used to help treat many symptoms and conditions, including (but not limited to): nausea, glaucoma, opiate addiction and recovery, fibromyalgia, insomnia, pain, Multiple Sclerosis, inflammatory diseases, Parkinson’s Disease, stress, depression, anxiety and/or other mood disorders (as directed). Weed-Deals.ca has an extensively large assortment of options; varying from an extensive collection of sativa to indica ratios; as well as, the true, focusing sativas and heavily sedative, indicas. Moreover, all of the strains are hand-chosen, for their potency and quality, to distinguish Weed-Deals.ca as the best medical marijuana provider in Canada; with the lowest possible price, to pass on to their loyal, Canadian customers. Have you ever ordered from Weed-Deals.ca? What are you waiting for? Please leave us a detailed message in the comments and share your experiences!